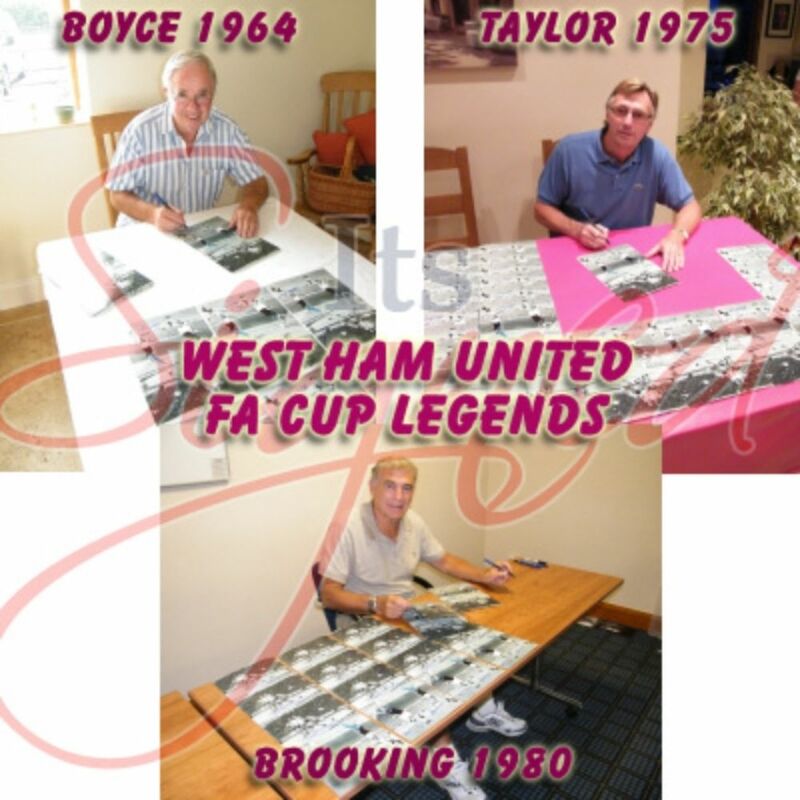 Fantastic 12×8 licensed montage photo signed by West Ham legends Ron Boyce, Alan Taylor and Trevor Brooking. The montage depicts the winning goal scorers from each of West Ham’s FA Cup Final wins in 1964, 1975 and 1980. 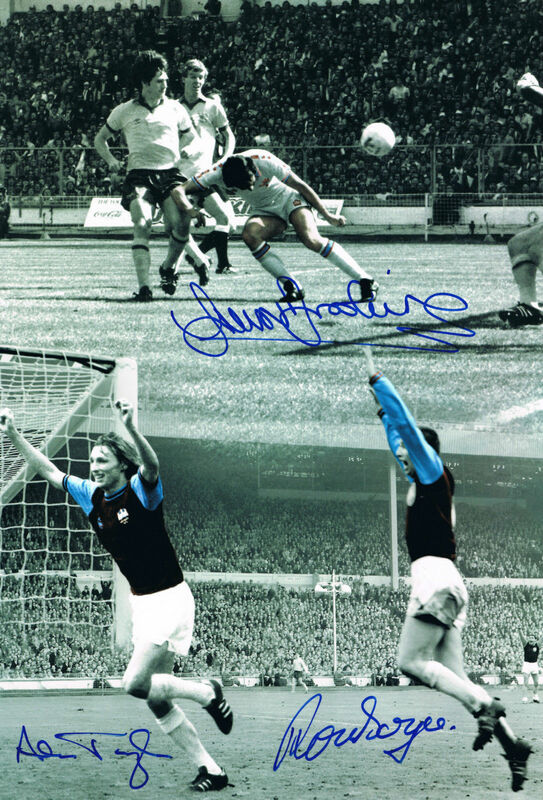 Signed at a private event, will come with Photo proof as pictured incorporated into our COA.